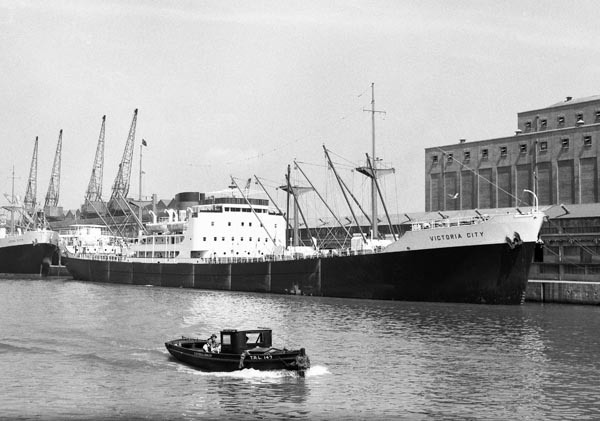 Victoria City at Avonmouth 1955. 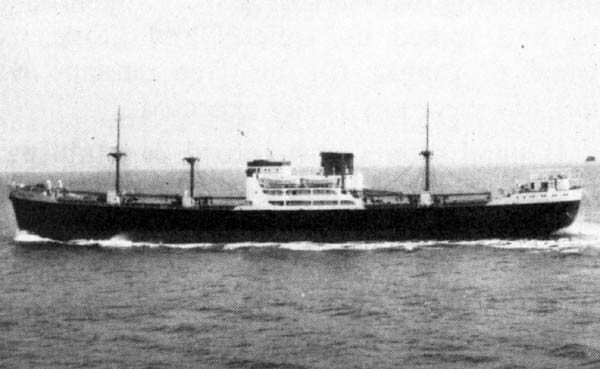 The bow of the sister vessel Leeds City can be seen berthed astern. Victoria City photo reprinted from Reardon Smith Newsletter. Possibly taken during sea trials. Photos from the collection of the late Alec Osborne. 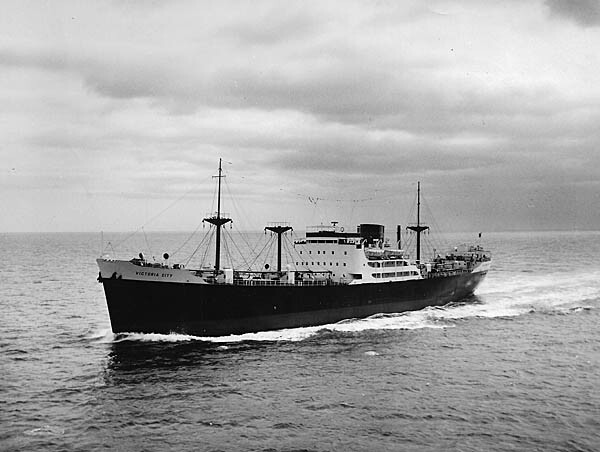 Copyright © Reardon Smith Ships.